This is a handcrafted cake made from polymer clay. 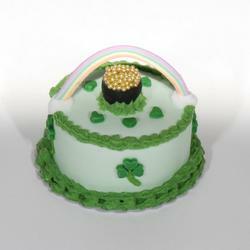 There is 3 layers of white cake and 2 layers of green frosting. There's a pot of gold with a rainbow spanning over it. 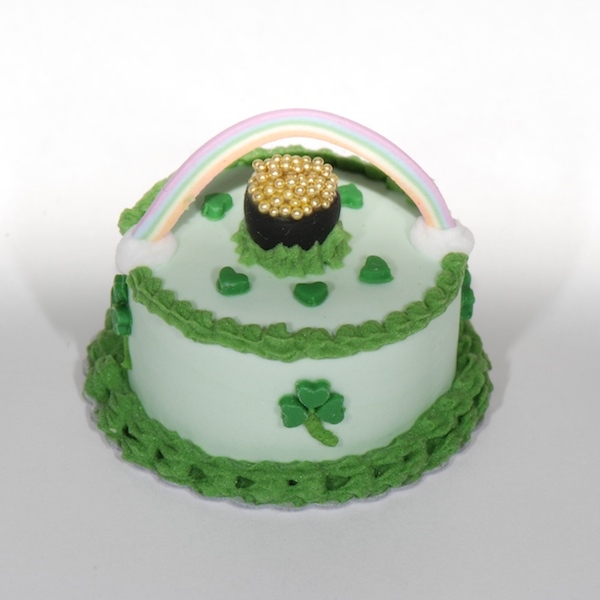 Shamrocks and hearts complete this cake. The cake can be sliced too, and you will receive directions on how to slice it if you so chose. Each one is unique and life-like. Sold individually.